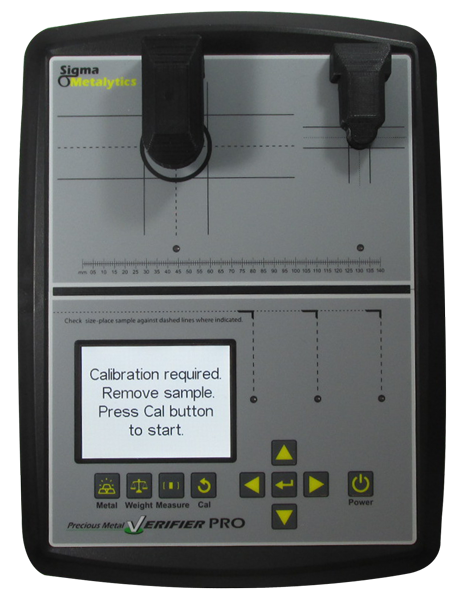 The Precious Metal Verifier PRO bring unparalleled diagnostic capability to the detection of counterfeit precious metal coins and bullion bars. This verifier greatly enhances the capabilities of the original PMV. It makes four separate measurements that ensures that the coin or bar contains valid metal. Measuring surface resistivity, and the resistivity ALL THE WAY THROUGH THE COIN OR BAR. No more worries about the depth of the buried metal. It measures the thickness of the metal, even for coins in plastic holders. You enter the listed or measured weight of the sample. It then makes sure that the length/width, or diameter of the sampe is consistant with its weight, resistivity, metal type, and thickness. It checks to ensure that the size of the object matches the metal that it's supposed to contain, which validates its density (specific gravity). With these additional checks, you will find greatly increased security using the Precious Metal Verifier Pro. Comes with durable carrying case. This is the base unit model Precious Metal Verifier PRO with XL Bullion wand.